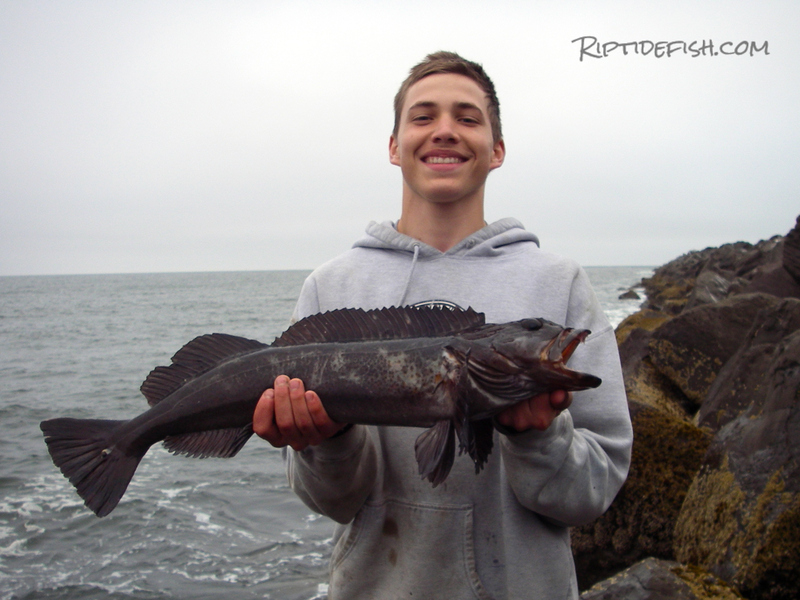 Anthony with a nice Lingcod caught off the Westport Jetty on the Washington Coast. Let’s Go Jetty Fishing in Washington! Like many of my fellow fishermen, I am thrilled that Washington has an abundance of Lingcod fishing spots. We have the Pacific Ocean, the San Juan Islands and Puget Sound, and each year anglers just can’t wait to get out and boat their first Lingcod of the season. But What If You Don’t Own a Boat? Fret not my shorebound friend! Washington offers a few jetties and public piers where boatless anglers can catch Lingcod. I put in a little time hunting the infamous Lingcod from shore, and I have a few tips and hot spots to share with you! 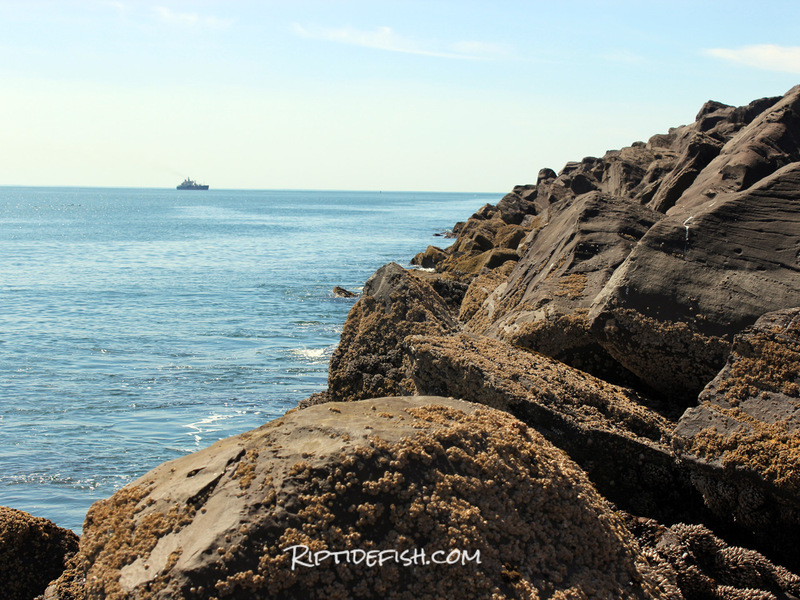 Jetties are man made rock formations that are built at the entrance to many Washington coastal waterways. They provide excellent habitat for many species of fish, including Lingcod. A jetty can be a treacherous place during storms, but during fair-weather many anglers travel to our jetties to catch Lingcod, Rockfish, Sea Perch and Salmon. If you select a good area with good structure and know how to catch Lingcod, then catching these awesome fish will be easy! Fishing from the Westport Jetty for Black Rockfish and Lingcod. 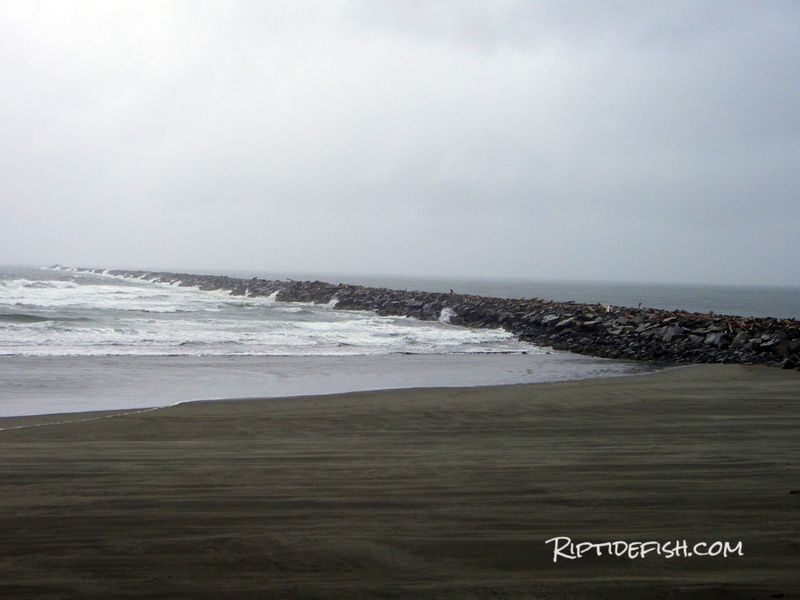 The North Jetty is located on the north shore of the Columbia River near Ilwaco, Washington. It is located in Cape Disappointment State Park, yet the fishing here is anything but disappointing. Most of the Jetty is composed of extremely large rocks, and just getting to a good fishing spot is an adventure within itself. Anglers catch Black Rockfish year round, but Lingcod are caught with shocking regularity from Spring through early Fall. Salmon are caught from the Jetty throughout the summer months. The Westport Jetty is located on the southern entrance to Grays Harbor in Westport, Washington. This Jetty is accessible from Westport Light State Park. This is Washington’s most popular jetty and for good reason. It is the closest to Seattle and Tacoma. It is fairly easy to access plus fishing can be phenomenal. Hiking on the Westport Jetty is less treacherous than the North Columbia Jetty. Families and older fisherman walk out and fish the first half of the jetty. The extreme end of the Jetty is difficult to get to with larger boulders to climb over. But there is a reason why many die-hard anglers make their way to the end. The end of the Jetty offers great fishing for all species. Anglers catch Lingcod here with ease, along with limits of Black Rockfish, Greenling and Surf Perch. A few fishermen bring home good catches of King and Silver Salmon in late Summer, when salmon flood past the jetty to reach Grays Harbor rivers. Most anglers focus on the Harbor side of the Jetty for Lingcod, Greenling and Rockfish. I have also caught them on the Ocean side when the waves are not too dangerous. The Westport Jetty at Westhaven State Park. The jetty at La Push is located at the mouth of the Quilayute River about ten miles west of Forks, Washington. This Jetty is right in the fishing village of La Push within the boundaries of the Quillayute Indian Reservation. This Jetty is located in some of the most remote stretches of coastline, with the best bottomfish populations found in our state. Lingcod, Black Rockfish, Greenling and Salmon are caught from the jetty. Unlike the Makah Tribe that governs Neah Bay, the Quileute Tribe doesn’t offer a fishing license. The last time I contacted Quileute Nation Natural Resources they said that as long as you are not fishing the river side and only fishing the ocean side of the jetty you are fine. They don’t get many non-tribal anglers so it might be worth a call before you head out. Many decades ago, as strong seas threatened the native village of Neah Bay, Waadah Island offered the only protection to the harbor and town. A jetty was eventually built connecting Waadah to the mainland, and provides more protection for the harbor. This Jetty offers great fishing for Rockfish and Greenling. 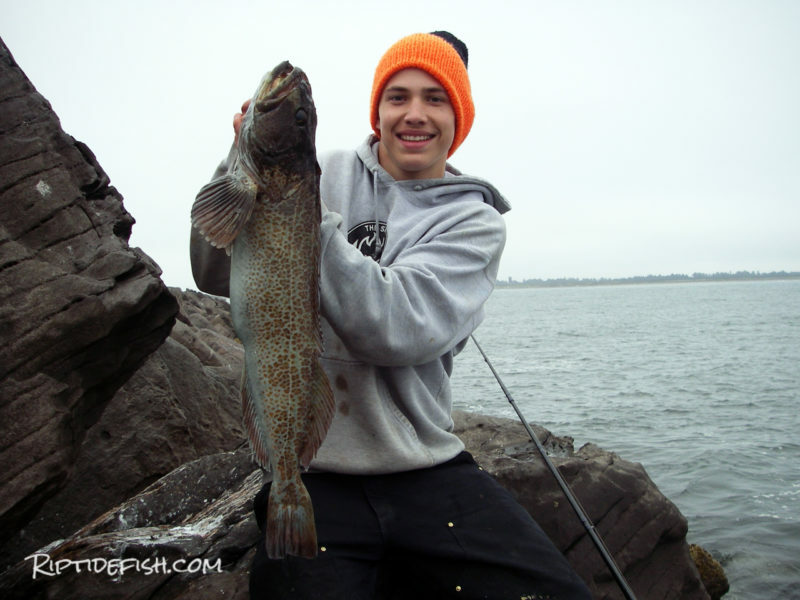 While the water here is fairly shallow, it can offer fairly good catches of Lingcod. The jetty is located on the Makah Indian Reservation, and tribal fishing license is required when fishing anywhere within the boundaries of the Makah Reservation. You can pick up a license at Big Salmon Resort or Washburn’s Grocery in town. Great looking rocky structure near a beach at Deception Pass State Park. All of the locations listed above are on the remote Washington coast. But what if you want to fish for Lingcod closer to Seattle, Tacoma and Everett? There are numerous fishing piers around Puget Sound and several of them have decent Lingcod fishing opportunities. Edmonds Public Fishing Pier is located at the Edmonds Marina and you can easily cast to the marina breakwater. You can also catch Lingcod that are resting next to the pier pilings or out a bit. 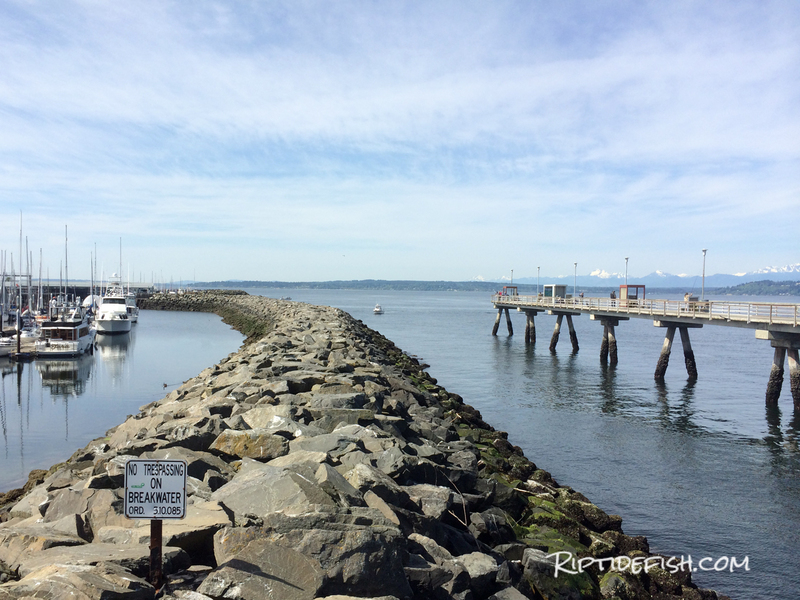 The Edmonds Public Fishing Pier is located just outside the Edmonds Marina breakwater. There is a pier next to the Shilshole Boat Launch that occasionally puts out a Lingcod during the season. 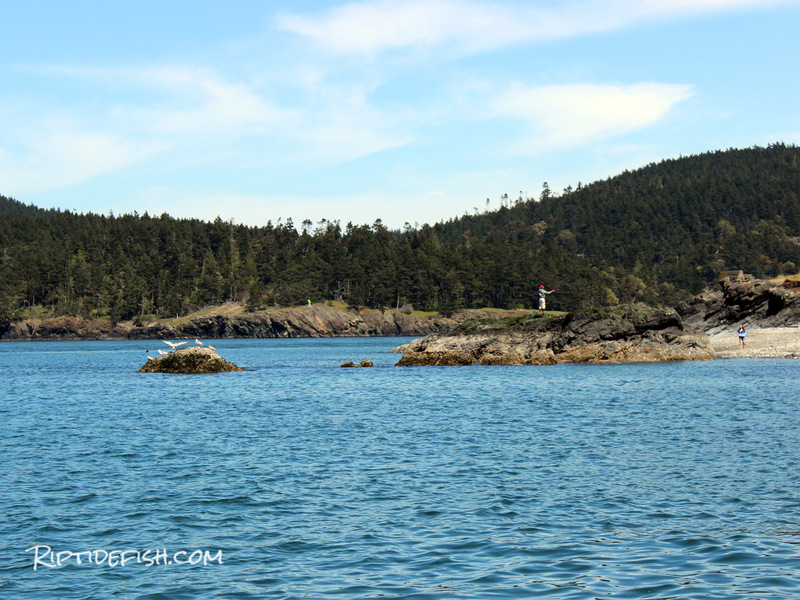 I have stumbled upon a few spots on Whidbey Island that offer good Lingcod fishing. 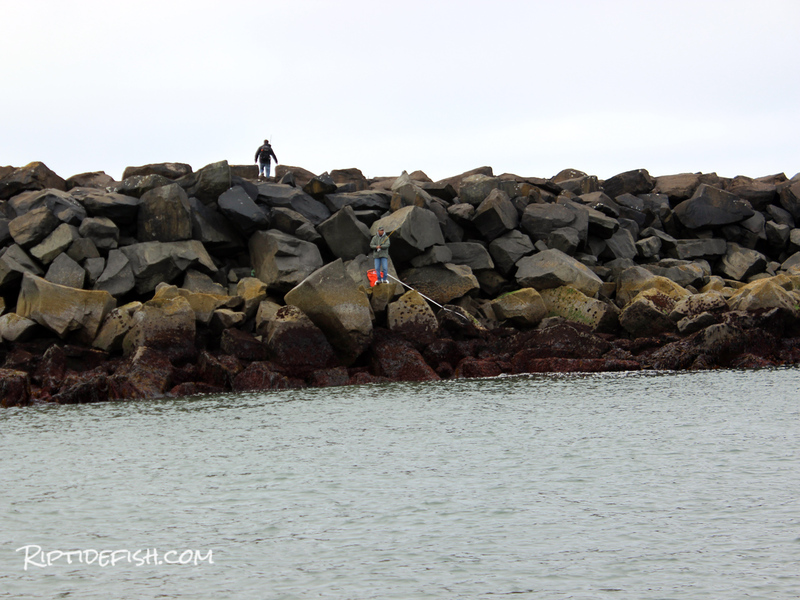 Fort Casey State Park has a few pockets of kelp and rocks that hold Lingcod. Probably the most epic Lingcod habitat in Puget Sound is the shoreline of Deception Pass State Park on the north end of Whidbey. This area is popular with boaters, but if you can safely access a shore-side spot that is within casting distance of rocky structure you will have a shot! Just remember, anywhere that offers rocky structure and kelp will potentially host a Lingcod. Get out and explore! I stumbled upon a kelp bed within casting distance from shore and caught a dozen Lingcod! West side of Whidbey Island. My favorite lures to use for jetty Lingcod are jig heads and soft plastics. Losing tackle is just a part of the jetty fishing experience. As your lure is retrieved, it can easily get snagged on the submerged rocks. Jig heads & Soft Plastics are inexpensive yet they work very well. I will always carry a variety of jig heads and different colors and sizes of soft plastics. I would say a variety of ½ oz – 4 oz jig heads will cover any scenario, I seem to use more 1 oz – 2 oz than anything, but I also use braided lines. Braided line is thinner, therefore there is less resistance, and lighter jig heads can sink quickly. If you use mono-filament line, heavier jig heads might be needed. Fishing with live bait is also a popular method used to catch Lingcod from Washington’s jetties. Bring a bait-fishing setup and catch a few smaller fish, whether they be small Greenling, Flounder, Perch or Sculpin. Live bait fishing on the jetty can be a little challenging. Most successful Lingcod jetty fishermen I have seen will use a large slip float, a 1 oz sinker and a double hook set-up. It is pretty tough to guess the depth when you are standing on the shore, so a sliding float with no stopper is perfect. The live bait will struggle to the bottom and hopefully a nearby Lingcod will capitalize on an easy meal! I have also caught Lingcod using a whole Herring rigged under a float, but I’ve had better luck with soft plastics myself. Probably because I use them more often! 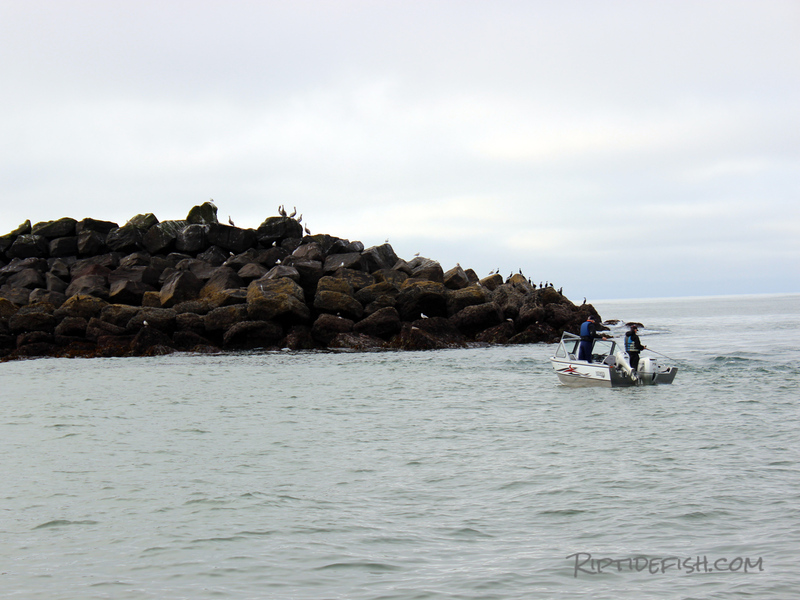 Jetties can be a great place to fish for Lingcod if you don’t have a boat. Safety First! There are many factors that can create hazardous conditions on our jetties. Always check weather, surf, bar, and marine forecasts before heading out. I always check tides, wind direction, swell height & direction, and surf condition. Tides: Big tide swings can make for tough fishing. You can still do very well around the slack tide, but I prefer to fish softer tides where there is less tidal flow and you can fish all day. Avoid Max Ebb on the Ocean: The bar crossings into Westport, Ilwaco and La Push can be rough and dangerous at times. Understanding the ocean conditions can keep you out of harm’s way. Aside from the ocean swells at the Columbia River, Westport and La Push jetties, the period of maximum ebb or maximum outgoing tide (generally 1-3 hours before low tide), can make for extremely dangerous water conditions. The bigger the incoming swells and the greater the difference in tidal exchange from high-tide to lo-tide, the rougher and more dangerous the conditions. Other locations listed are not in areas at bay entrances or river mouths exposed to the Pacific Ocean where this is the biggest safety concern. Tackle: Bring more than you think you need. You will lose plenty of gear to snags. If I think I might lose 6 Jigheads in an afternoon, I will plan on bringing 6 of each size. If 1 oz. Jigheads are fishing perfect, you don’t want to only have a few! Line: Braided line is great because it has zero stretch and is very thin, but it isn’t as durable as monofilament. Braid can easily get frayed on sharp rocks and barnacles. Lingcod have very sharp teeth and can easily sheer through 40# Braid. If you plan to fish braided line, at least use a heavy 20# to 40# monofilament leader. Measuring Device: Lingcod have a size restriction (can vary from year to year or place to place). Make sure you carry something to measure potential keepers. If you aren’t catching fish in an area…experiment with lures. If that doesn’t work go into exploration mode and find a new spot. 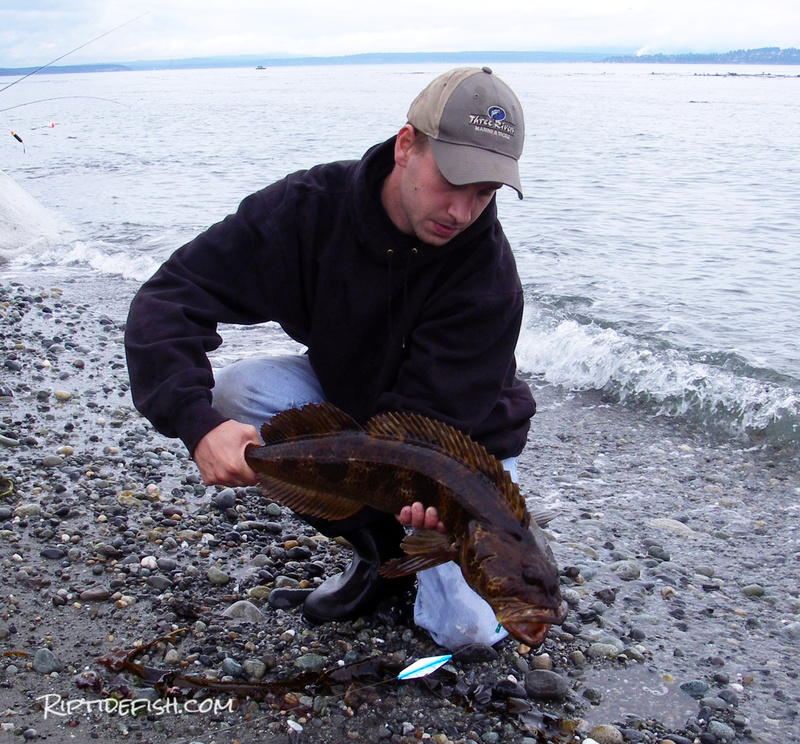 Check out my article Puget Sound Lingcod Fishing and How To Catch Lingcod for a more detailed look at fishing for them. End of the line at the Westport Jetty on the Washington Coast. I totally appreciate your posts and suggestions Andrew. I am limited to a small freshwater rowboat which means fishing from the KP pier. I wish you would add a link for those of us who are looking for regional fishing buddies. It’s no fun going alone unless the need to be alone arises. It would great to meet other chill yet responsible people to fish or crab with. I’m up in the north MA 8-2 area near the Stilly river. I prefer to go early weekdays.